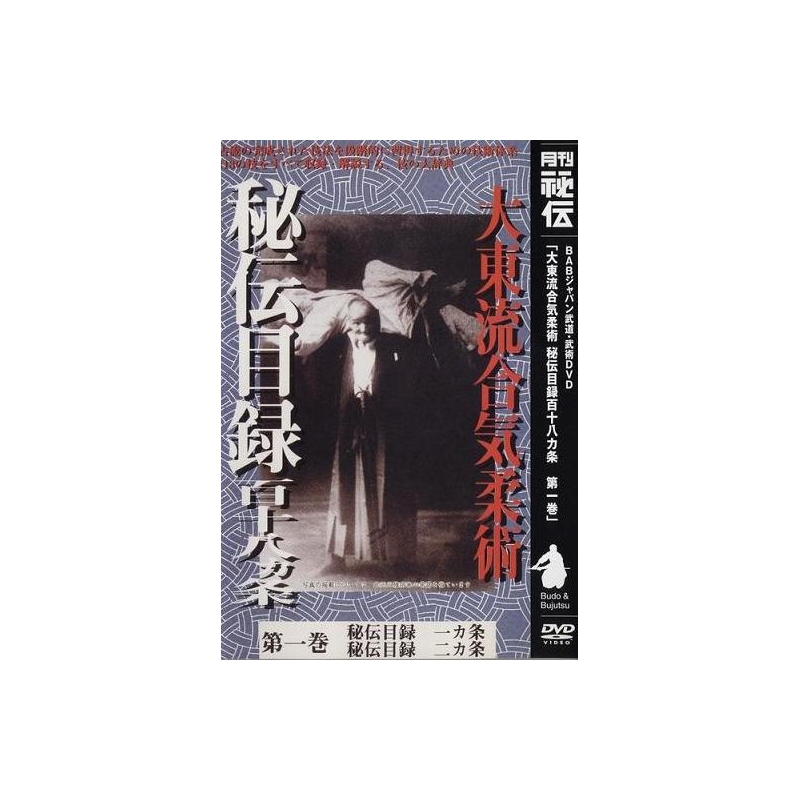 This first volume of the "Hiden Mokuroku 118ka jo" series presents the techniques Ikkajo and Nikajo. 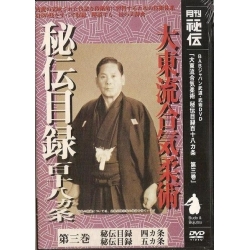 The 118 Kajo of the Hiden Mokuroku are a set of techniques classified by categories (attack, throw, grab, etc.) They were created by Tokimune TAKEDA, the 36th successor of Daitoryu Aikijutsu. 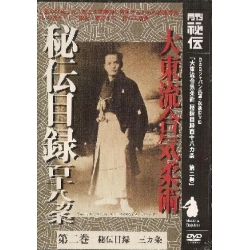 KATO Shigemitsu is a disciple of Tokimune TAKEDA a son of Sokaku TAKEDA). 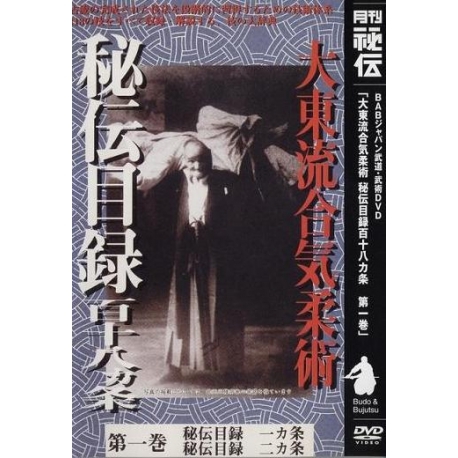 The content of this DVD "Hiden Mokuroku 118ka jo vol.1"